Thread: 2018 Cadillac CTS-V Glacier Metallic Edition: A Sort-Of 115th Birthday Product! Raise a glass to Cadillac, everyone-the brand is 115 years old and still kicking. To celebrate, Cadillac has revealed that it will build 115 CTS-V Glacier Metallic Editions. The automaker has specified that even though the special CTS-Vs are 2018 models, they are being built in 2017 (the year Cadillac turns 115, not 116). Not to rain on the parade, but it sure looks as though Cadillac forgot its own birthday, which is today-or at least was late to realize a marketing opportunity. Anyway, the Glacier Metallic Edition is meant to celebrate Cadillac's birthday, and by golly, it's gonna celebrate it. Every one comes with the light-gray paint, dark-red Brembo brake calipers, and 19-inch polished-aluminum wheels with Midnight Silver–painted accents. Together with the standard Carbon Fiber package with carbon splitter, hood vent, spoiler, and diffuser, the livery looks good. Inside, there are Jet Black Recaro sport seats and a standard Performance Data Recorder, and the CTS-V's Luxury package is standard. 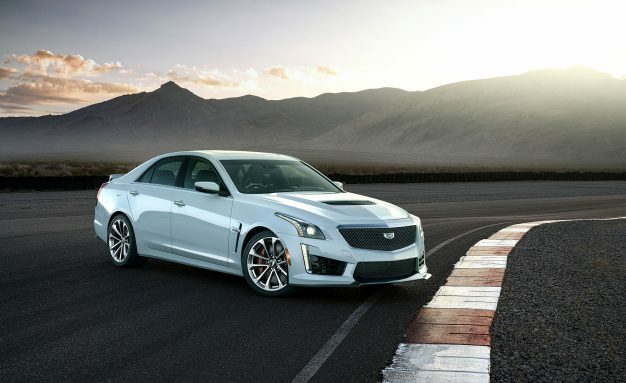 Have we mentioned that we like the CTS-V's 640-hp supercharged V-8? The base 2018 Cadillac CTS-V starts at $88,290 (with the required $1000 gas-guzzler tax); add those same wheels, the Carbon Fiber package, and the Luxury package and the total is $103,885. The Glacier Metallic Edition retails for the same price but comes with the otherwise unavailable paint. Happy birthday, Cadillac. Read more on Can and Driver.